This November will mark a significant milestone in the life of Chad Godfrey, our Studio Owner of the Month from Lee’s Summit, Missouri as he celebrates 10 years of being a studio owner. From the day his doors opened Chad has been a stalwart, combining the right ingredients of hard work, leaps of faith, and daily diligence in his business. Starting out part time in 2004 he decided, after five months, to dedicate himself full time to his home based studio. 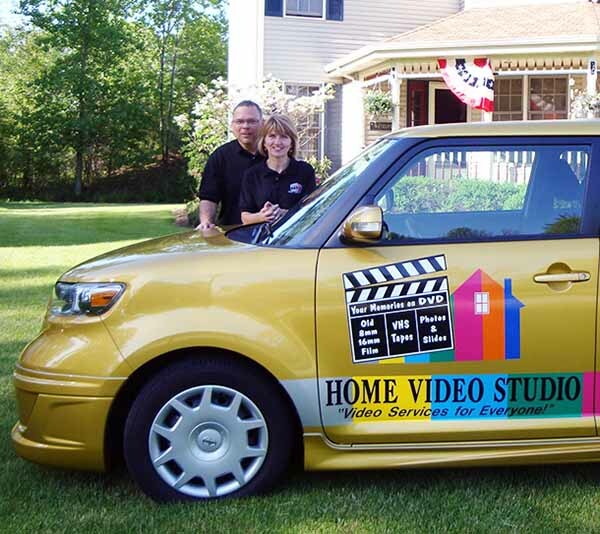 Then, after five years, he took another step and became one of Home Video Studio’s first studio retail stores. Besides winning scores of Hanleys, including multiple Best in Show awards, he has also earned Rookie of the Year, Studio Store of the Year, and Studio Owner of the Year honors. Chad also takes the time to teach and share his knowledge and experience with other studio owners. Yet, if one knows Chad at all, it becomes quickly apparent that his biggest delight is his role as husband and father of his children. Chad, you seem like a typical Midwestern kid who learned how to work for what you’ve got. You must come from good stock. What did your parents do for a living? Hilarious question (and I believe an illegal one in a job interview). My parents are both retired. My mom was a professor at Central Missouri State University (now called University of Central Missouri) in Warrensburg, MO. She taught Early Childhood and Family classes and was the director of an early childhood center on campus. My dad was commercial carpenter and is gifted with the ability to build anything mechanical with wood, steel, etc. In his retirement, he tinkers with inventions and has won several invention contests. Of late, he's built a number of zero-turning radius lawn mowers from scratch (minus the engines, hydraulics, etc.). My brother and I built a website for him and I did a video a few years back at http://www.beelinemowers.com. He's truly one of the most talented people I've ever met. In first grade, I wanted to be an aeronautical engineer. At first, I didn't even know what that meant, I just wanted to be one because my best friend Jason Gladfelter wanted to be one. When I learned it had something to do with NASA, I totally wanted in. Later on in high school I wanted to be a journalist or a professional musician. That sounds like a career as a Rolling Stone writer in the making. How did you spend your college years? So you abandoned your Rolling Stone and NASA career for the fine arts. What was your first job after college? I left that job, followed my Mr. Holland's Opus roots, and became a K-12 Music teacher in a small town in southern Iowa. Actually, I taught in two towns, K-5 in one on Tuesdays and Thursdays, and K-12 in another on Mondays, Wednesdays, and Fridays. I did everything--band, choir, orchestra, and elementary music. In Iowa schools, the resident music teacher also provides private lessons in most instruments. Being a percussion major, I had to really brush up on my brass, woodwind, and string pedagogy. I became pretty proficient at teaching private lessons on all instruments to a 12th grade level. Was video part of your skill set before HVS? Yes, we did some at Berry Music Group. In high school, I was the assistant editor of our school newspaper and the editor of our broadcast class. I cut my teeth on VHS and old Sony and Panasonic A/B roll editors. My senior year, we got a Newtek Video Toaster. That thing was amazing! I could never get enough of the "sheep falling from the sky" transition. Fast-forward several years, when Suzie and I got engaged, I left teaching, moved back to Kansas City, and took a media production job at Community of Christ International Headquarters in Independence, MO. I worked there for six years doing audio and video productions all over the globe before joining HVS. What was your motivation to be entrepreneurial rather than get a “good job with good pay and you’re OK”? While having all of these various jobs, including music teaching, I constantly moonlighted on the side and did recordings for other people. Mostly audio recordings, but I did produce a number of videos on the side for extra money (mostly these jobs fed my lust for good audio and video gear while my day job supported me for everything else). Having always done production on the side, I was always looking for a way of making a career out of it on my own. HVS seemed like the best method for accomplishing this. Ten years later, I'd still agree. Where did you first hear of HVS? In a 2004 issue of Videomaker Magazine. So you saw an ad in Videomaker. What were your next steps as you became a studio owner. Suzie and I went to a show-n-tell in Indianapolis and got to meet Robert and a lot of the HVS staff. Everyone was great, the equipment was impressive, but I still was hanging on to my old ways and my own comforts. I still wasn't convinced that I'd join until about half-way through Robert's presentation. That was the tipping point for me in making the decision to join. I came to the understanding that I'd never have the level of support or the knowledge base to run a business like I would with HVS behind me. To this day, I still feel this was the right decision. You went from part-time to full time to studio store. You've demonstrated a steady track of accomplishment since you started. What's your motivation? (Laughs) I’ve always had a very primordial feeling that "we had to eat." Suzie had gone part time at work and was only making half of the salary we were once used to, so my deep-rooted sense has always been "I can't fail at this. I've got nowhere else to go." It has always been that message in the back of my mind that has kept me motivated. A typical day involves about seven hours in the studio doing the daily operations (transfers, editing, shooting, customer interaction, etc.) On most days, I'm out of the office for an hour or two doing a mix of things from business networking, lunch or a separate meeting with a client, corporate recon, morning coffee, and simple errands that need to be made during the day such as banking, the post office, or UPS. I have two employees that work for me, so I plan my out-of-the office time around when they can cover in my absence. Do you think your business has "seasoned" in nearly ten years? If anything, I think its "seasoned" due to my ability to be really comfortable in all aspects of the business. 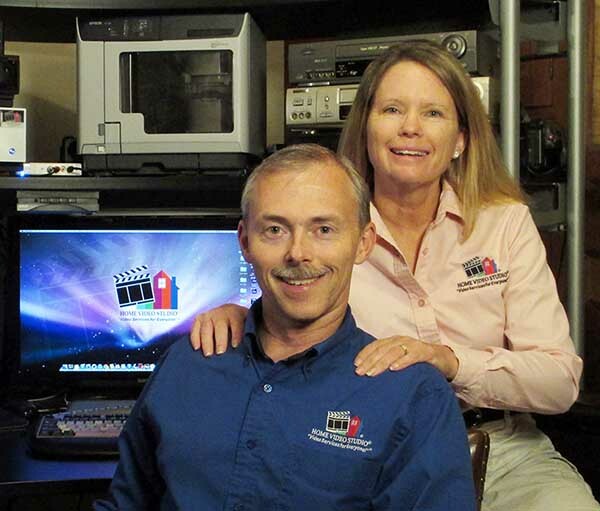 When I started, I knew how to do video, but knew very little about running a business. What is the greatest lesson you've learned in business? Two things: Number one, listen for critical cues from your customer. Try to discern what they really want. Listen for and respond well to their concerns. Keep their objectives on the top of your mind and serve them well. Number two, stay on top of your finances at all times. Reconcile your accounts monthly and always know, at any moment, where you are at. I have over fifty creative awards in my studio, but awards mean nothing in your business if you can't show that your business is profitable and moving forward. Has your sales/marketing approach changed since when you first started? Not a whole lot. I've always tried to stay focused on both the business-to-business and the business to consumer aspects of the business. It's easy to find yourself marketing for one portion of our business and not the other. However, it's really important to market both. That being said, it's even more important to know how to SELL all the profit centers. Has your typical client changed? Your client mix? Are your jobs more profitable? We still have about the same mix of about 65% consumer business (tapes, photos, film transfers, etc.) to 35% corporate jobs (production, editing, duplication, etc.). With our store-front, we get lots of walk-ins for consumer-related business. The corporate work has stayed fairly steady from when I had the business in my home. Over the last several years though, the business has ramped up and the jobs have become more profitable, partially due to my comfort and confidence in selling the work. My first goal is to break the $250,000/year ceiling. I've got some work to do to get there, but I think it's attainable. As with any goal, it will take focus and discipline to get there. It's the challenge of getting there that's exciting for me. I'd like to one day open another studio, perhaps a "feeder store" in a mall, like a kiosk-type place. I haven't put too much thought into that, but I think that's the key to an additional source of income. I'm also training for a marathon. My days usually consist of running for an hour or more. Running is great because I try to maintain focused on both business and personal development at the same time. I'm typically listening to a business book or podcast while I run to keep learning and to stay inspired. I'm a strong believer that exercise is a great thing for your business. Lastly, I'd like to look into ways of getting more involved in the community. Perhaps be a member of a non-profit board of directors. Some way that I can give back to help those in need. It is in this work that life is fulfilling most of all. I have a great passion for this business. I love working with audio and video. I love shooting and editing video. I love teaching others and I share what I do with anyone and everyone. I think my attitude is pretty infectious and influential to others. I attribute much of this to my success as well.